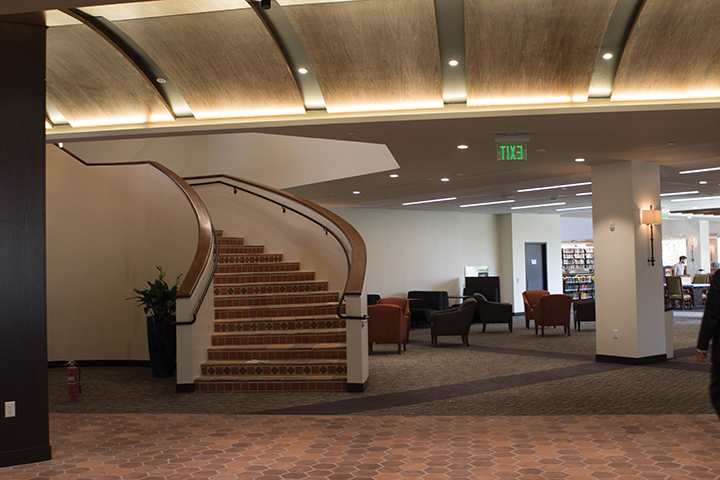 Renovations to the Payson Library come to an end as the university opens the space after a 16-month long construction project that includes a new Starbucks. Members of the Pepperdine community can utilize the state-of-the-art facility from the start of this semester, followed by an invitation-only grand opening event on Sept. 17. Payson Library will be open from Monday to Thursday from 7:30 a.m. to 3 a.m., Friday from 7:30 a.m. to 6 p.m., Saturday from 9 a.m. to 5 p.m., Sunday from noon to 3 a.m. These hours will be extended during finals week. Phillips said the focus of the project was to have more space for students and less space for materials. He added that fewer than half of the reading materials have come back from the Calabasas campus library, but will still be accessible to students who request them. 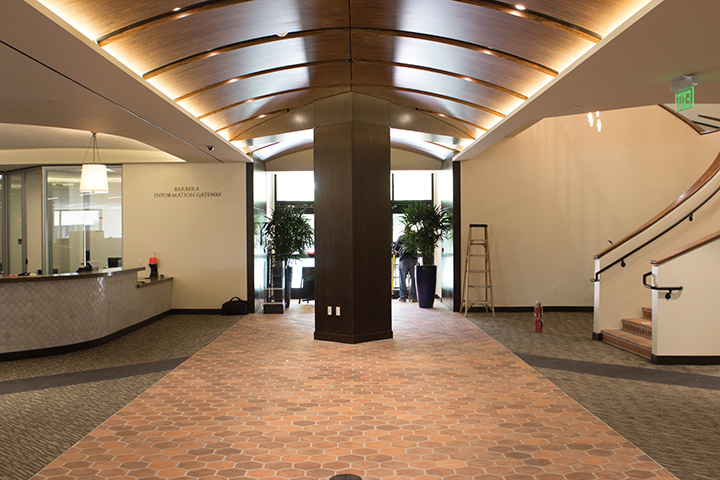 Pepperdine invested $22.4 million into the Payson Library renovation project, including the Pendleton Learning Center where International Studies and Language classes will be held, Phillips said. Payson Library will have tripled the amount of study rooms, growing from eight to 26 rooms, and nearly doubling the size of the entire library, Phillips said. Project Director of Design and Construction Ben Veenendaal said everyone learns differently, so they have created a wide variety of study areas to fit the needs of every student. “Students will notice right away the different types of atmosphere and ways of studying available whether that is in lounge, formal, confined, collaborative or contemporary setting,” Veenendaal said. Senior Ryan Dufour said he prefers the quiet aspect of studying in the library compared to other locations on campus. “I have a gap-filled semester so instead of hanging in the loud cafeteria, I’ll probably go to the Payson library more often,” Dufour said. The Payson Library has multiple spaces designated to help improve students’ academic lives including the Student Success Center where centralized tutoring services are available, the Genesis Lab where creativity is fostered through innovation tools such as 3D printing and virtual reality, and the Academic Center for Excellence where reading, writing and speech services are provided. Veenendaal has overseen all aspects of the renovation project by transforming the visions of Dr. Mark Roosa, Dean of Libraries, into concrete design plans. Phillips said each aspect of new design has been intentionally and carefully thought out. Phillips said there is a direction taken toward Spanish Revival architecture with unmistakable elements to both Spanish and Mediterranean styles. Design elements of the Spanish Revival are shown through the dark woods against the white plaster and signature choice of tile, contrasted with more contemporary aspects displayed in the light fixtures and open floor plan, Phillips said. “That’s where this campus and its original concept comes through by using the Spanish revival architectural style interpreted in a modern way,” Phillips said. He said the Spanish revival style keeps us grounded as it started with the Catholic Church, establishment of missions and bringing the message of Christ, while the more modern aspects represent how we are looking forward. The design of Payson Library also has a strong emphasis on openness as walls were taken down to create a more open floor plan and large outdoor glass walls were added to bring in more natural light, Phillips said. 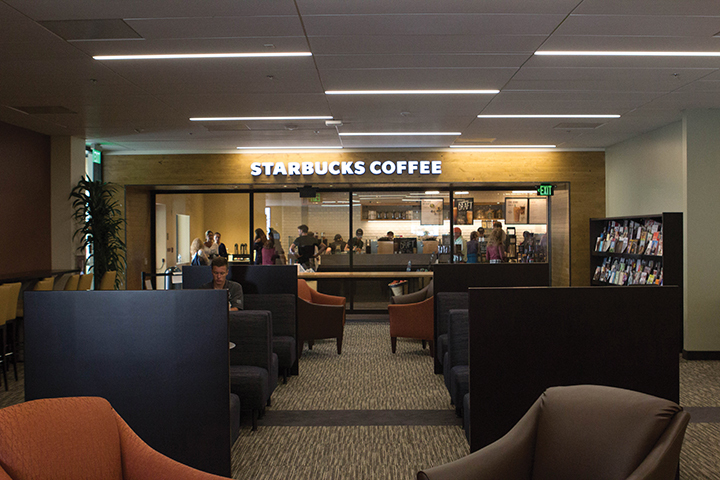 One of the most-talked about features of the renovation is the new on-campus Starbucks location which has the full menu items and almost all the functionality of a normal Starbucks. Students will be able to use their meal points and gift cards at this branch, but will not be able to use mobile ordering. Phillips said that all non-corporate locations do not have mobile ordering available, which is currently a high priority the company. 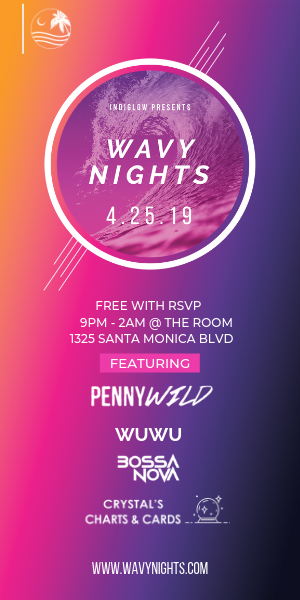 In addition, students will be able to earn reward points through the Starbucks mobile application, but will not be able to redeem their rewards at this on-campus location. 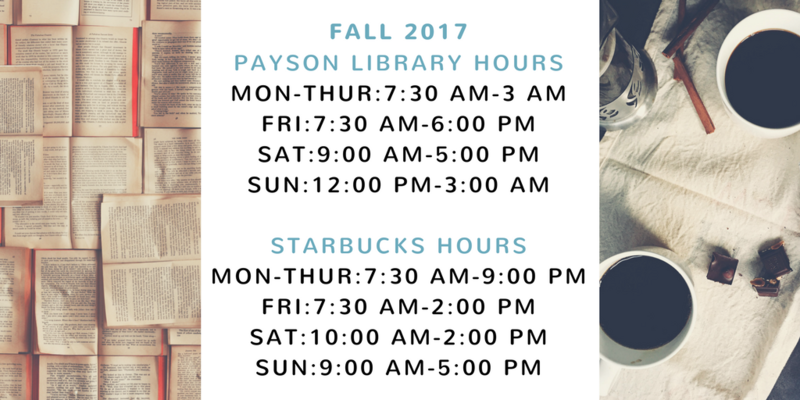 However, the Starbucks location will have slightly different operating hours than the Payson Library. 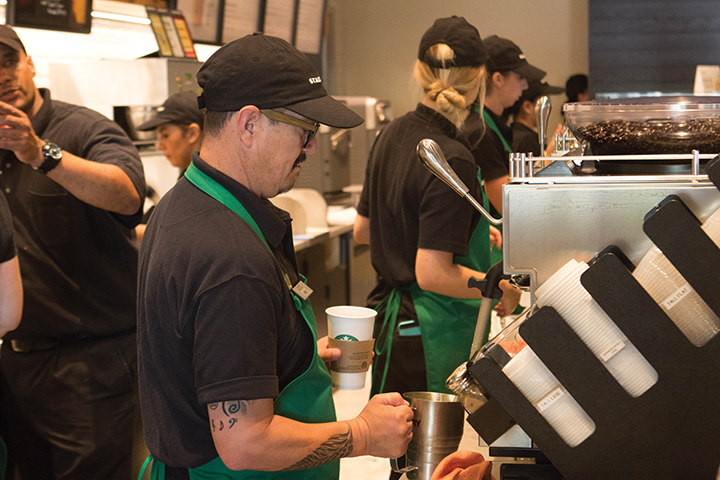 Starbucks will be open on Monday to Thursday from 7:30 a.m. to 9:00 p.m., Friday from 7:30 a.m. to 2:00 p.m., Saturday from 10:00 a.m. to 2:00 a.m. and Sunday from 9:00 a.m. – 5:00 p.mP. Many students are excited to have Payson library back for the school year. 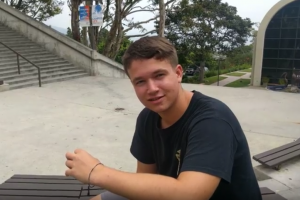 “It was inconvenient to not have a designated place to feel comfortable in to prepare for exams,” said senior Chase Mendoza. Students relocated their study sessions during renovations by using other facilities available to them; however, some of these locations will no longer be accessible for students. 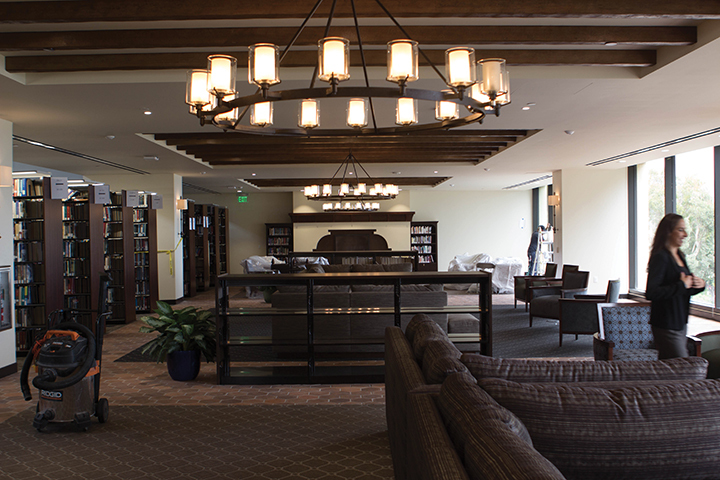 Following the opening of Payson, the Calabasas library will be closed as it is undergoing construction to include more study spaces and the Thornton Administrative Center library hub will be converted into a classroom. Senior Kevin Maeda said he looks forward to see the revamp with new additional study spaces, the new Starbucks and remodel of the library. 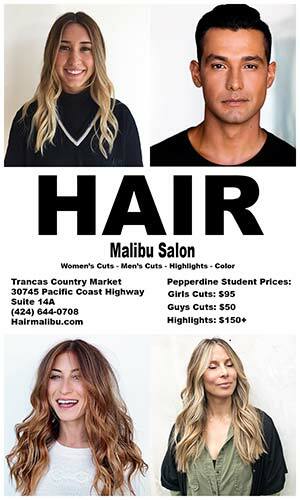 “Considering I live on campus, it is super convenient to have a central study space instead of going to the School of Law, Calabasas, or finding various quiet spaces to study,” Maeda said. Nicolle Taylor, Associate Vice President for Administration, said new design dispels the myth that a library is some place students only go to when they are required to study.